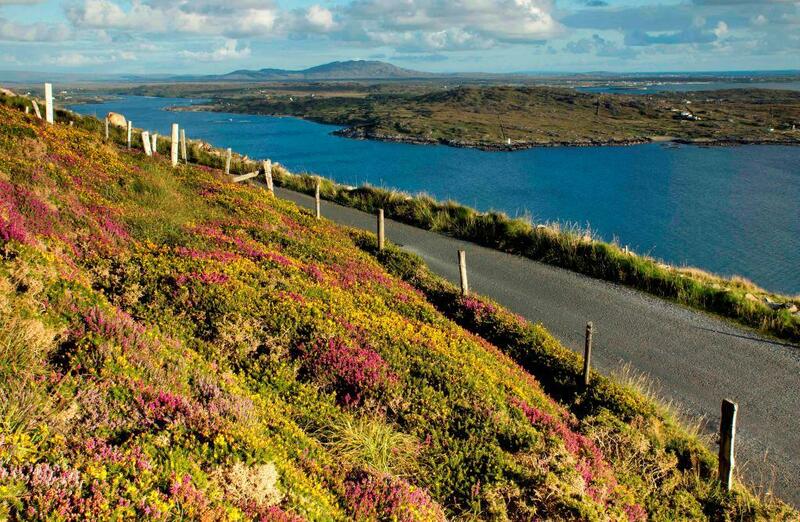 Overlooking Clifden Bay to the South and Streamstown Bay to the North, this route rises more than 150 m above sea level and has spectacular views of the Atlantic, the islands of Inishturk, Turbot and Clifden town. You will also see the ruin of Clifden Castle, former home of John D’Arcy who founded the town at the start of the 19th century. The terrain is relatively flat towards the end of the peninsula. Cyclists follow the coastline of the tranquil Streamstown Bay back towards the main road.